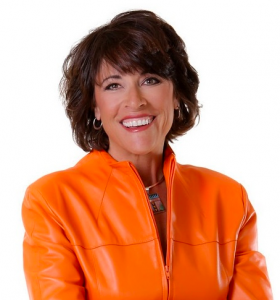 We are delighted to host one of our nation's most sought-after inspirational speakers, Fawn Germer. Fawn's recent book, "Hard Won Wisdom," was declared by Oprah Winfrey to be "very inspiring." And considering all the extraordinary stories Oprah has reported, if she finds the book inspiring, you will too. The book is the result of over 50 interviews with some of the world's most successful female leaders. It includes stories from businesswomen and politicians, athletes and scientists, and activists and actresses. Gentlemen, don't exclude yourself from the event just yet. The leadership lessons are universal. Although the stories originate from successful women, the concepts can still apply to male leadership roles too. How risk-taking will separate you from your peers. How to expand your influence and authority instead of waiting to be given power and position. To define yourself with viability and relevance. To put your self-esteem and insecurity in check and believe in your ability to achieve your own personal greatness. How to thrive in your discomfort zone. How to balance your life and work while reducing stress. Fawn Germer speaks globally on leadership -- and, in recent months, has spoken in China, Spain, United Arab Emirates, and India. She was a speaker at the Harvard Business School's leadership conference and has been a keynote speaker for Coca-Cola, Ford Motor Company, Cisco, Boeing, Kraft, PepsiCo, ConAgra, Unilever, Novartis, and Microsoft.